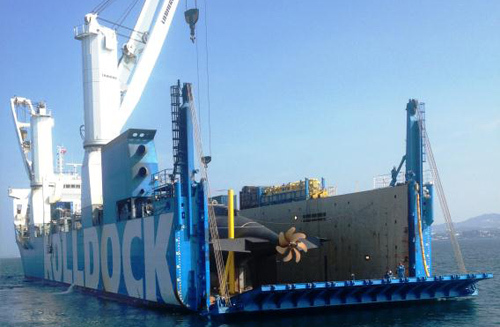 VietNamNet Bridge – On the morning of January 2, the Hanoi Kilo submarine was unloaded from the Rolldock Sea vessel. The Azimuth tugs of the Vietnam Navy will pull the submarine to the Cam Ranh military port. The Rolldock Sea vessel before opening its back. 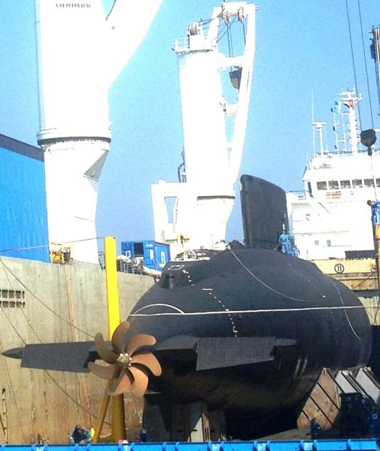 The highest part of the Hanoi Kilo submarine emerged behind. Beside are the two Azimuth tugboats, the most modern tugboats at present. 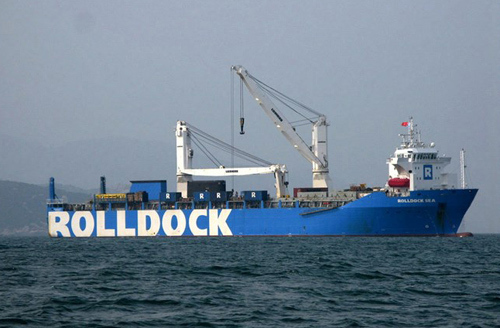 The Rolldock Sea vessel anchored in the adjacent waters between the civil and military ports of Cam Ranh, near the Hoi Cape in Cam Ranh Bay, Cam Ranh City, Khanh Hoa Province in central Vietnam. 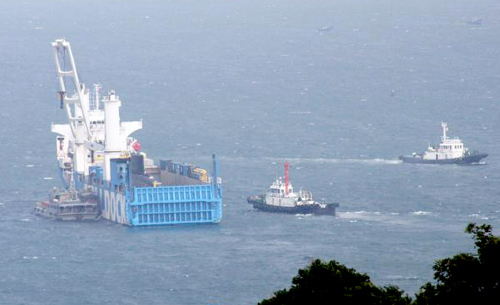 The transport vessel started to lower its back door. The Hanoi Kilo submarine appeared after supporting devices were removed. Today, January 3, the submarine was pulled to the military port by two tugboats. 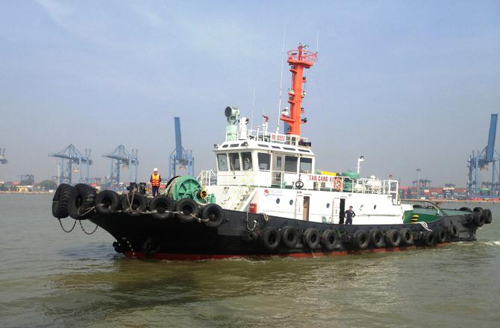 One of the two Azimuth tugboats of Vietnam Navy. Five Russian engineers will supervise the launching.